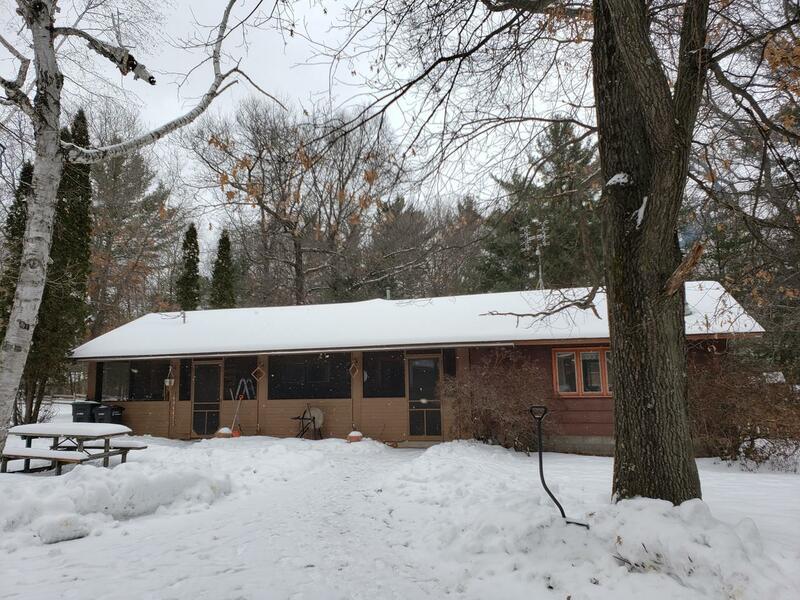 Popular 1, 910 acre Lake Mohawksin in Tomahawk WI features this charming, spacious waterfront home for your total recreation headquarters. Hunting, ATV, snowmobile opportunities nearby and all water sports, great fishery, silent sports, you can do it all here. Plenty of space for family gatherings yet cozy and affordable situated on a level lot in a park like setting dotted with beautiful mature trees. Make your north woods dreams come true and settle into this attractive 4 bedroom, 1 bath, open concept, year round home featuring lots of wood accents including wood lined ceilings, floors and walls. Vaulted ceilings over the kitchen/dining areas and bedrooms. Screen porches along the main entry and out the living room patio doors. Fenced in yard, garden area, lake side deck, pier, garage and extra storage. New drilled well and septic 2017. Paved driveway, cable, hi-speed internet, natural gas at the road. Call today!!! Adjacent home 1212 Jaecks Rd for sale MLS #176181.